It only happens in reverse with the steering locked to the right, doesnt do it on the left side. Car had new control arms, ball joints and outer tie rods. 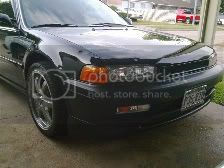 Plus a rotor over hub conversion with 94 prelude vtec breaks and wheels, all parts were new ither than wheels. Is the picture taken with vertical straight up? Take a photo further back to give us a better overall picture - something looks screwy with the angle of link. Any accident damage (like hitting a curb)? Quick check: Turn the steering wheel from lock to lock counting the turns, based on that center the steering wheel as best you can for what should be straight ahead, then check to see if the wheels are pointing straight ahead. 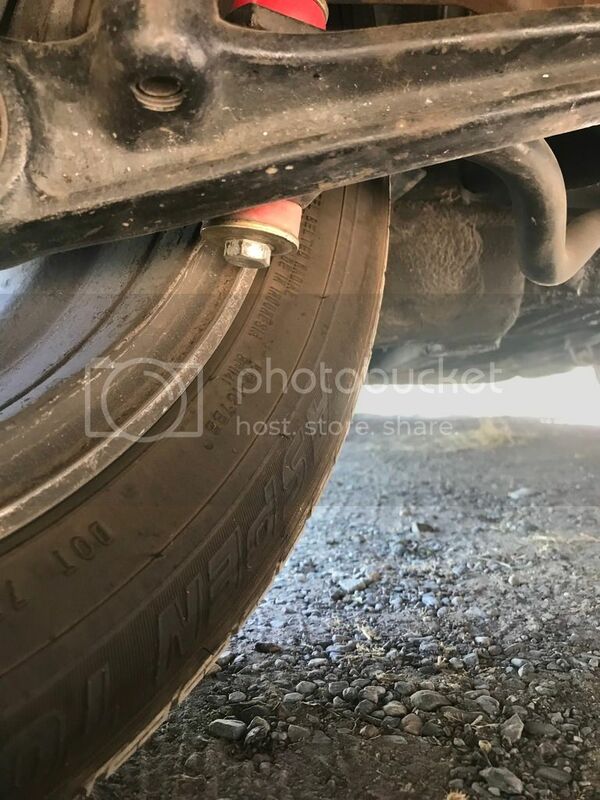 The right side outer tie rod may be adjusted shorter than the left side tie rod such that the rack isn't centered when the wheel is. If the wheels are pointed a little to the right, to preserve the alignment you have between the front wheels, you can adjust the outer tie rods an equal number of turns, out on the right side, in on left side to correct the relationship between the wheels and the steering wheel/rack. Last edited by fleetw00d; 07-09-2018 at 06:43 PM. What rims are you running? I bet it’s the offset of the rim. Last edited by joey_crandall; 07-09-2018 at 08:56 PM. How much clearance is there on the left side when turned all the way to the left? How many threads are exposed on the inner tie rod on the left side vs. the right? What is interesting to me is how you say it only rubs when in reverse, check radius rods or something loose that allows the wheel to change angle when in reverse thus allowing it to touch. 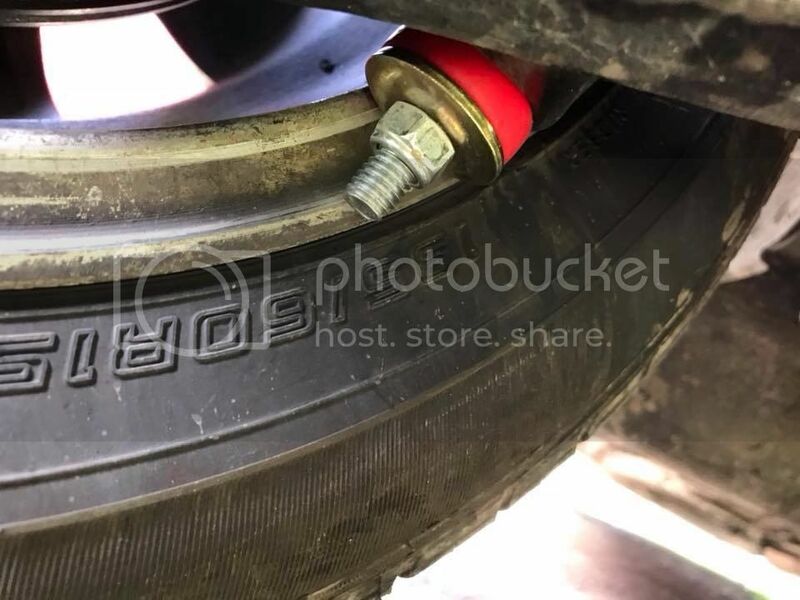 I think if it was wheel offset it will cause rubbing ALL the time, also did you use the correct end link kit for the car? Go thru everything as we sometimes make mistakes, I once forgot to tighten my lugnuts and got on the freeway to a hellish vibration and thumping sound; glad I didn't kill myself or someone else but this goes to shot that mistakes happen. Do you know if the car had previous damage on that side? Bringing this back from the dead, couldn’t figure this out and took it to les schwab today, they told me my rack is off center and my tie rods are adjusted to compensate for this, is this possible seeing how the steering is the same amount of turns from center to left and right. My right tie rod is adjusted all the way in and the left is adjusted all the way out. Yes that is possible. I would take a look at your inner tie rods and see if the rack n pinion is shifted one way or the other. Was the car ever in a wreck that you know of? If the tie rods are off then that could bring the wheel closer to the sway bar. The amounts of turns to go from one side to the other won’t change either way because the pinion has a pre set movement. What makes the wheel travel more are your tie rods. 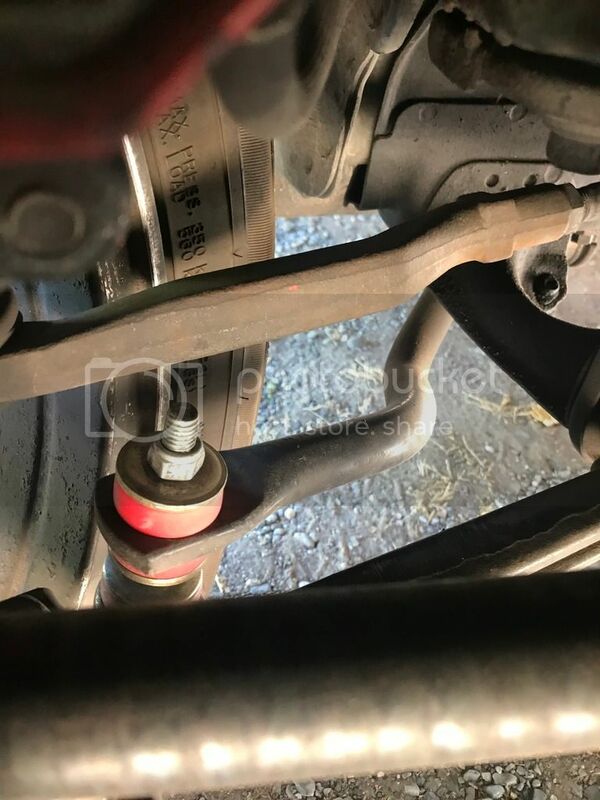 I would again look at inner and outer tie rods. Last edited by Grumpys93; 10-15-2018 at 07:42 PM. Isn't this what I said back in July; maybe I didn't make myself clear. Check my "Webuilding the Wagon" thread, there is a picture there looking straight up at the ends of the cross member(to which the rack is mounted) checking to make it is also centered under the body structure.